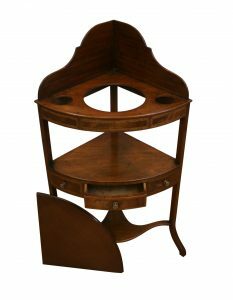 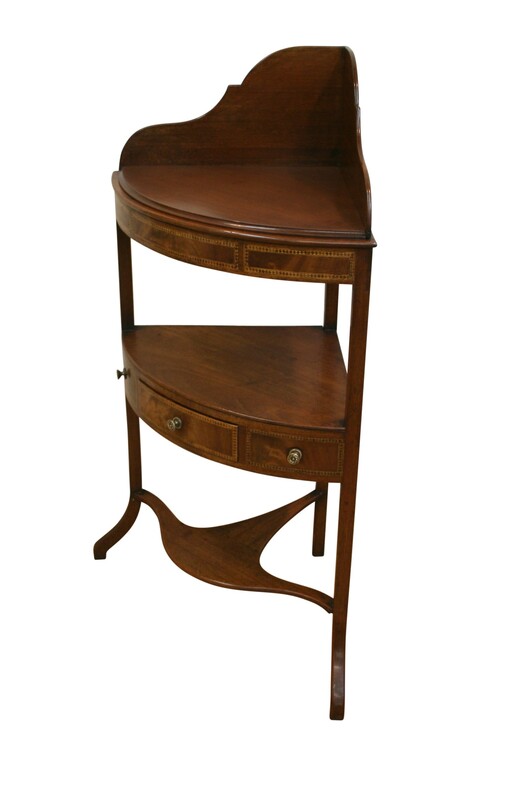 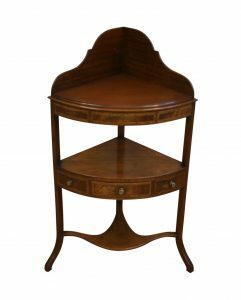 A Georgian mahogany corner washstand. 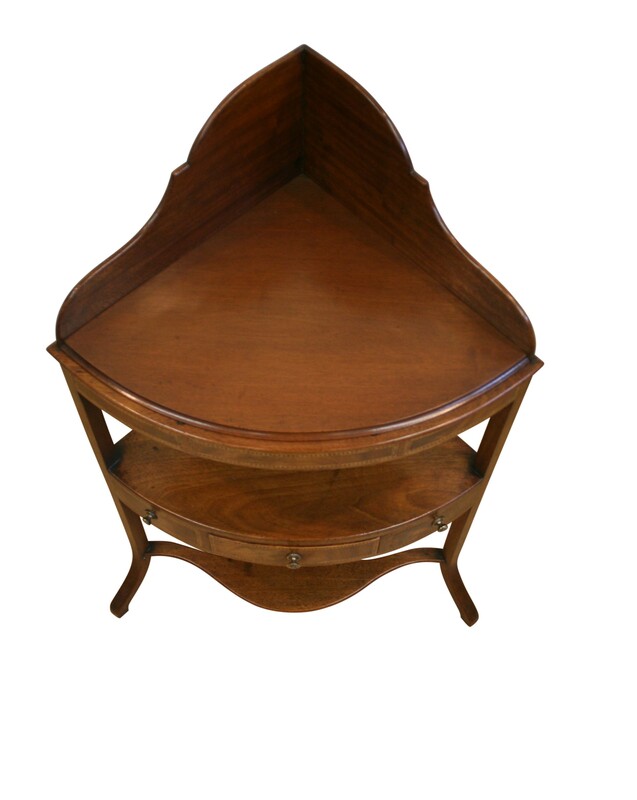 It is bow fronted with a shaped splash back and a new drop in top which covers the original basin well. 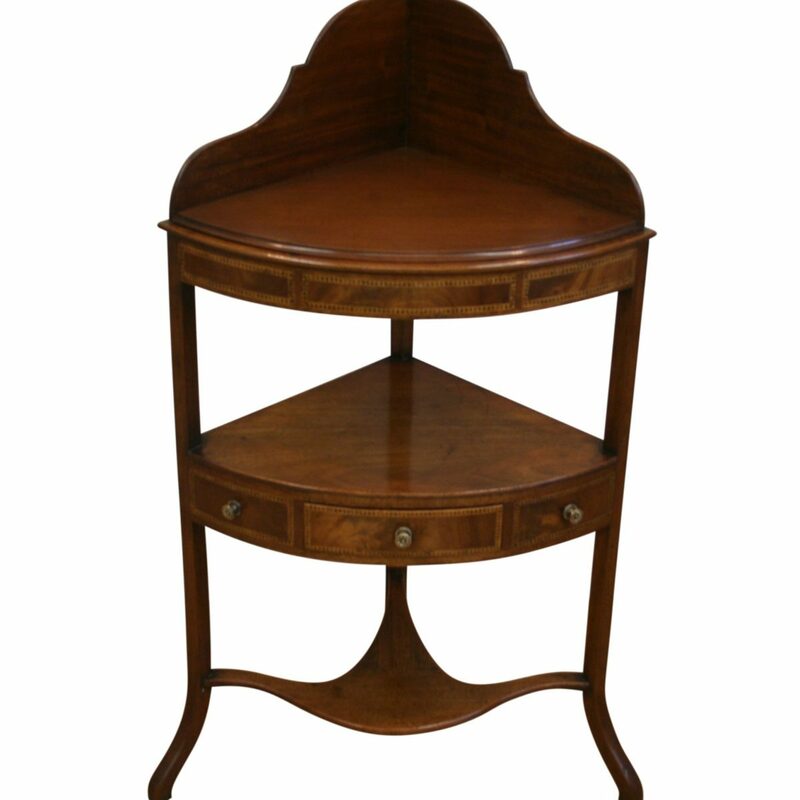 The frieze and the under tier has parquetry lines in boxwood and ebony. There is one drawer and two dummy drawers fitted with brass knob handles.